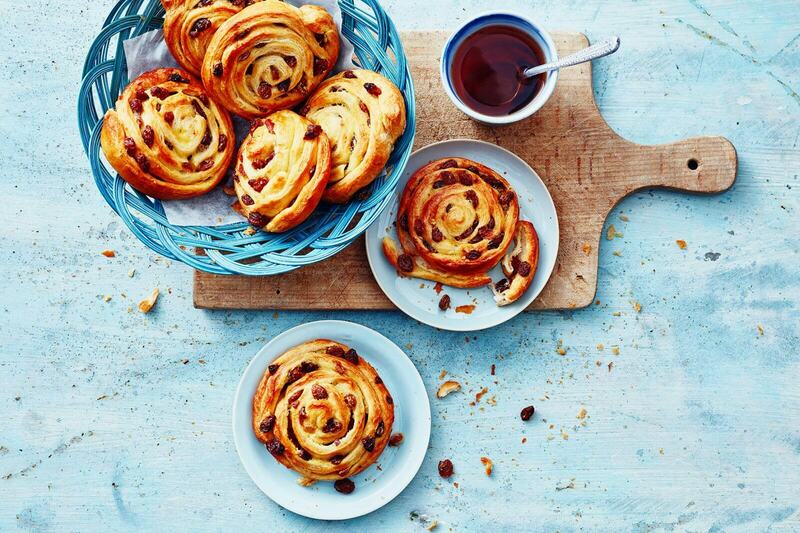 Fresh croissantdough filled with custard and raisins. A home-made variety of the French Pains au Raisins. Truly delicious at any hour of the day. Press the cuttinglines together to create one large piece of dough. Place the slices with some bakingpaper onto a bakingtray.